The Dragonkind discover a potential cure for the desert sickness. Lucinda is lost at sea. The Purge of Scholars from Vanara. Katrina's House of Fairmaple has disappeared. The Queen of Vanara seeks to blunt Duinnor's growing power over her realm. Naval Battle at Grisland Strait. 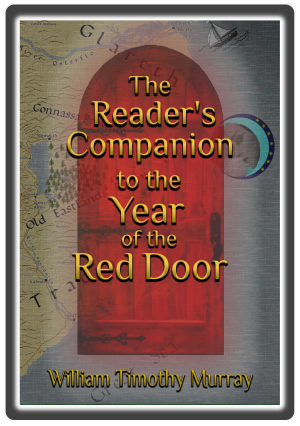 The Reader's Companion to the Year of the Red Door. Anerath -- A spirited horse belonging to Ullin Saheed Tallin. The name comes from the Ancient Speech, and means "water prancer." Anerath was a gift to Ullin Saheed from the Thrubolds, renown horsemen and breeders of Duinnor, in gratitude for his having saved their son's life at the Battle of Garmitor. Aremon -- A Nasakeerian hunter of the late Second Age. Drago -- The ordinary class of Dragonkind. Mistakenly thought by some of the north as a separate race from the Alziekfria since the Drago and Alziekfria are different from one another in appearance and health. That is because the Drago do not regularly receive the darakal elixir and are thus more coarse in appearance and demeanor than those who rule. They suffer scales of the skin, thinning hair, and, should they suffer from the desert sickness long enough, their facial features change, most notable a thinning of the lips, thickening of the tongue, and the loss of the boney structure of the proboscis, resulting in a flat nose with narrow nostrils. As a result of the sickness, few Drago reach physical maturity, becoming increasingly weak and prone to illness, thus their mortality rate is quite high. Dragon -- Terrible, fire-spitting creatures spawned by Morgasir during the Time before Time. Most of the dragons, along with Morgasir and a host of his followers, were destroyed by Beras in a great conflict, but some escaped into the bowels of the earth and into far places. Legend has it that the dragons sired a race of slaves to serve them, and, when the dragons were destroyed, the slaves were set free, becoming the Dragonkind. Fairoak -- One of the Named Houses of the Elifaen. When their Vanaran lands were lost to war and economic distress, Kahryna Fairoak married Danig Saheed Tallin, making the Joined House of Tallin and Fairoak. Nightar -- A prince of Nasakeeria. Saheed -- A given name among Men, particularly of the Tallin and Markal lineages. Seleesa -- Maiden of Nasakeeria, said to have been a witch or sorceress. Year of the Red Door. 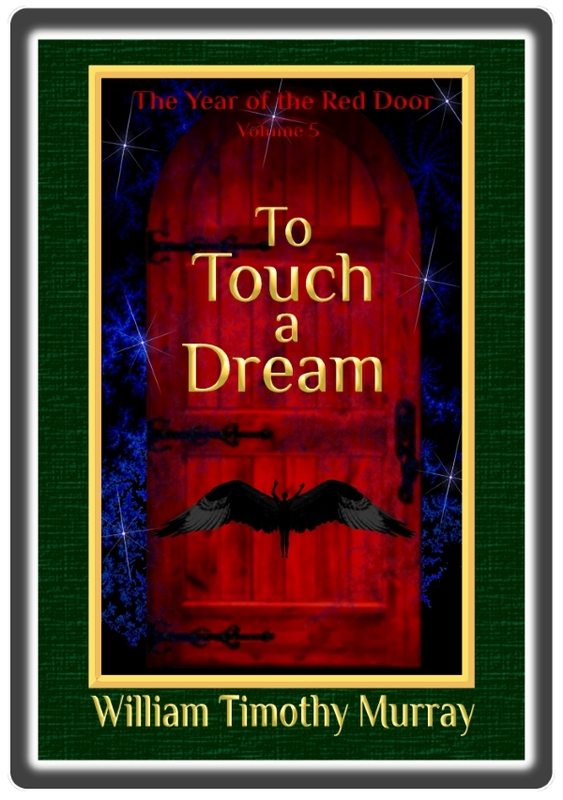 Put a copy on your Shopping List today!